ROCKVILLE, Md., October 2, 2018 – Capitol Concierge, a leading global provider of corporate, commercial and individual concierge services, is pleased to announce the promotion of Misty Tieman from vice president to executive vice president, development. Tieman’s promotion is in response to her contributions to Capitol Concierge’s unprecedented growth. 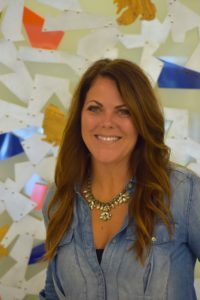 Tieman joined Capitol Concierge seven years ago and has demonstrated strong leadership in her position as vice president, where she played a key role in developing the company’s strategic direction. In her new role, Tieman will utilize her extensive marketing, sales and recruitment expertise to help guide Capitol Concierge’s growth as it pursues additional business opportunities both here in the U.S and globally.